Damascus has repeatedly stated that it does not possess any chemical weapons' arsenal, the full destruction of which was confirmed by the OPCW. The Syrian government stated that claims made by the French and US top diplomats blaming Damascus for the use of chemical weapons are "lies". In a statement reported by the Arab Republic's state news agency SANA, the Syrian Foreign Ministry said such allegations were aimed at "obstructing any effort towards finding a way out of the crisis in Syria". "Syria has always shown cooperation and provided the conditions necessary for an impartial, objective and professional investigation into the use of chemical weapons," Damascus said, adding that the West has hindered the probe to reach its political goals. The statement comes a day after US Secretary of State Rex Tillerson accused the Syrian government of likely still using chemical weapons following an alleged chlorine attack in eastern Ghouta on Monday. The claim has been echoed by US Envoy to the UN Nikki Haley, who has also blamed Moscow for the alleged chemical attack, prompting Russian Ambassador Vasily Nebezia's harsh condemnation. He stated that Washington "hastily accused the Syrian — as they call it — 'regime'" of the alleged chemical attack in Eastern Ghouta, which was reported on January 22. 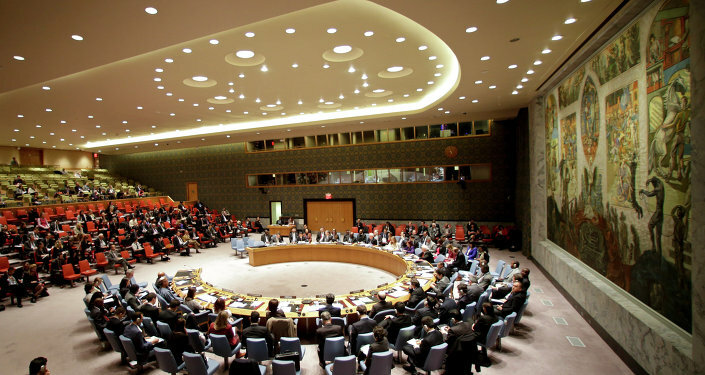 On Tuesday, the UN Security Council at the initiative of Russia gathered for an emergency meeting to discuss the situation with the use of chemical weapons in Syria. Russia proposed to the UN Security Council that it establish an independent UN mechanism to investigate the chemical attacks in Syria for an initial period of one year, and invite the Organization for the Prohibition of Chemical Weapons (OPCW) to participate in the group's creation. According to Kremlin spokesman Dmitry Peskov, Russia categorically rejects the position of the US on the issue and warns against "labelling without any basis." Damascus has repeatedly stated that it does not possess any chemical weapons' arsenal since 2013, the full destruction of which was confirmed by the OPCW. In its turn, Moscow has called for aunbiased investigations into the reported chemical attacks not only in Syria, but everywhere in the world.